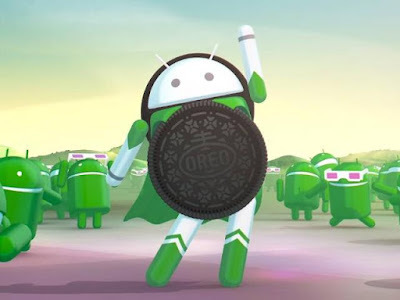 Now that Google has unveiled the official name of Android O, which is Android 8.0 Oreo, you might be thinking how and when you can get your hands on the new OS version. Developers and those who are familiar with the industry already know that select smartphone users can download the beta version of the OS. The consumer version of Android 8.0 Oreo is still few days away. The Over The Air (OTA) version will be first hitting the Google Nexus 6P, Nexus 5X, Pixel and the Pixel XL smartphones along with the Pixel C tablet and the Nexus player. The beta is available for the smartphones as well. If you cannot wait to try the Android 8.0 Oreo and are ready to be a bit adventurous with your device, here's how you can get it right now. Step 1: You can simply head to the Android Beta Program page by Google and sign in. Step 2: After signing in, you will need to 'Enroll' the device and check if the device supports Android 8.0 Oreo beta. Step 3: After enrolling the device, you would have to agree with the terms and conditions by Google. Step 4: Once done, the system update for Android 8.0 Oreo will be made available for your enrolled device. Mind you, the system update generally shows up in no time. However, in some cases it might take more time than usual. Furthermore, since this is a beta release, you may encounter some bugs as well. Besides Google Nexus 6P, Nexus 5X, Pixel and the Pixel XL, some other smartphones too are confirmed to receive Android 8.0 Oreo. Samsung has said that most of its new Galaxy A series and J series smartphones along with the Galaxy S8, S8+, S7 and the S7 Edge will get the new OS version. Some of the other companies that have confirmed Android O for its select handsets are Sony, HTC, OnePlus, Nokia, Asus, Micromax and Essential.